Varasiddhi Vinayaka Vratha and Puja - How To Perform Varasiddhi Vinayaka Puja? Varasiddhi Vinayaka Vratha is dedicated to Ganesha. Many communities perform it on the Ganesh Chaturthi day in Bhadrapad month (the first day of 12-day Ganesha Festival). The Vratha can also be performed on other Chaturthi falling during Shukla Paksha or waxing phase moon in other months. The belief is that after the successful completion of the puja and rituals Vinayaka blesses the devotee for the success of his/her wishes – thus the puja is named Varasiddhi. For some communities Varasiddhi Vinayaka Vratha is an elaborate puja with complete participation of all the members of the family. Such pujas are usually performed under the guidance of a priest. 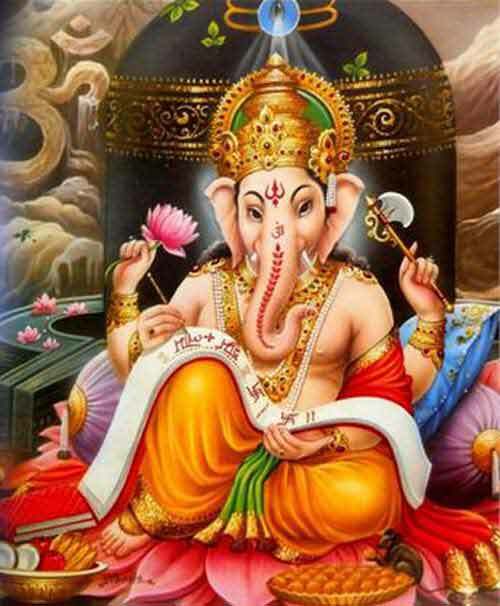 Although Varasiddhi Vinayaka Vratha is called a Vratha there are no fasts involved. It is more of offering worship to Ganesha on the day. A clay Ganesh murti is used for the puja. Modak is prepared at home as prasad. Red color flowers are used for puja. A coconut is also offered. Usual puja procedure followed in your home is followed if you are doing a simple Varasiddhi Vinayaka Vratha. Light lamp using cow ghee with five wicks. You should chant a simple prayer dedicated to Ganesha or chant the below given mantra 108 times. The fruits and modak prepared should be shared between family members, neighbours and friends. For a elaborate puja, you should take the guidance of a priest.